OK, this has got to be the longest "Let's Compare" video so far but it should not be unexpected given the game that is being compared: Space Invaders! Bloody hell 3/4 hour long! Just shows what a massive impact this title had on gaming. Absolutely! Not only are there many official releases and clones for this game, but there are also homebrew releases for systems that did not have this game on their original library. The sound is notoriously hard to get right which is a shame as the sound is really important for those who experienced this in the arcade - even this video's recreation of the arcade version has the wrong firing noise. The Saturn version is the closest I've experienced re sound - I've had that version for some time now. It has the exact same features of the original with the trail left behind by the last invader if it's a skull from row 1 or 2 and also the fact that invaders can't hit you when they are on the last rung just before landing. The Wonderswan looks to be an excellent port. The Colecovision is impressive too though I doubt the sound would have been right if there was any!! The Ps2 Anniversary collection is pretty good and it has an unusual Doubles version of the game though. Space Invaders Part II ( aka Deluxe which is slightly different - think the level order is a bit different) is a vastly superior game though with the morphing invader , varied layouts and the rainbow bonus to go for. I remember playing Alien Invaders Plus for the Odyssey 2, then played the 2600 version till I was able to get Vic Avenger for the Vic-20. Looking back now, I was a Space Invaders Gigolo. Jumping systems for better graphics. There is another version that is missing and which is excellent: Vectrex Y.A.S.I. Check this out, pretty amazing job for a computer that is not supposed to able to display anything other than pre-defined characters! 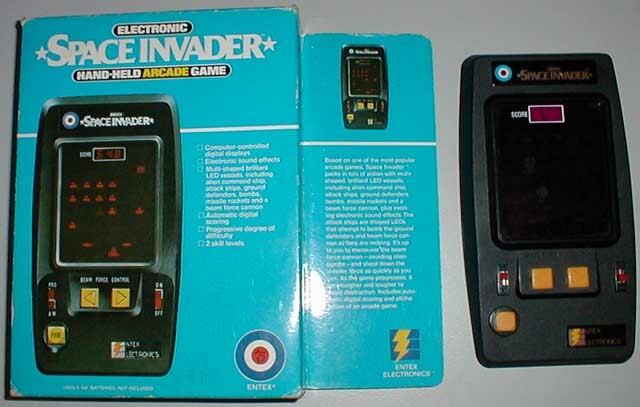 I remember wanting to like Space Invaders, but the game proved frustratingly difficult for me. While I could score into the millions on Galaga, SI always wiped me out before the 2nd board was completed. I think it's the one shot at a time thing that messes me up. Galaga allowed multiple shots on screen at a time, but SI only allowed one. Plus, as you whittle it down to a partial row or two of invaders, their marching speed increases too quickly and I rapidly meet my doom. It's been a while since anyone posted in this thread but I have a question. Does anyone have Space Invaders 91 for the Genesis/Mega Drive? It looks cool and I'm thinking of getting it. I don't own it but I tried it out on emulation and it is really good, would like to pick it up at some point. Cool. Found one for a good price and I don't want to miss on it. Thanks.